Witness the tale of beauty, hope, and adventure that the New York Times calls an “emotional race against time”. Join us for a free screening of ChasingCoral on April 4th, 5:30 pm in the Camas Public Library and find out what’s happening below the waves. Please RSVP below. On April 4th, 2019 Inspire EdVentures, with the generous cooperation of the Camas Public Library, is sponsoring a special viewing of the award-winning documentary Chasing Coral. After the viewing, we are hoping to engage with the audience in a meaningful conversation on how we, as a society, can become more involved in the preservation and conservation of this vanishing natural wonder. 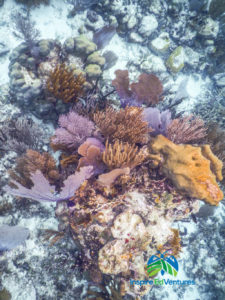 The conversation will be led by Dr. Michael Windelspecht, a science author and educator who helped form Inspire EdVentures so that everyone can experience the beauty and diversity of the ecosystems of Belize, including the coral reef. As a result of his personal exposure to this film, he reorganized their upcoming May travel itinerary to include more of a focus on the biology of the coral reef. He will also be sharing some of the student-centered research projects that the InspIre EdVentures’ team has been supervising in the country. Inspire EdVentures was formed by a group of educational professionals with a passion for travel and exposing the general public to the importance of biodiversity and ecology in their everyday lives. Our vision is to inspire travelers to take an adventure, to experience the fun of learning about the fascinating world we live in, and to give back to the communities that generously host our EdVentures. Refreshments and drinks will be provided at the event. Don’t Just Vacation – Become an Ecotourist!